From signs for events and weddings to personalized mugs or wine glasses, Letters & Bliss strives to add that personal touch and small detail that completes your vision for your special day that you didn’t know you needed. Starting off only doing small signs for family and friends, I expanded my clientele to all over the Seattle area! Hi there, I’m Allisa, the face of Letters & Bliss, nice to meet you! I am Seattle born and raised and when I am not doing any projects, you can find me indulging in a new show or movie on Netflix or planning a trip! I started as a self taught modern calligrapher and typographer who originally fell in love with cursive while learning it in 2nd grade. It was not until 2015 when I discovered the world of modern calligraphy and I cannot get enough! 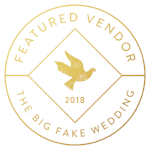 Since starting Letters & Bliss in 2017, I have been blessed to have worked with so many different clients which includes other vendors, brides & grooms, and companies like Microsoft. I’d love to work with you and help you express your bliss.